Everyone loves to rank Marvel movies. And down near the bottom on almost every single list are Thor and Thor: The Dark World. So how is it that we’re all so stoked about the third film in a trilogy that’s not even close to being as loved as others in the Marvel Cinematic Universe? Such has been the case with Shane Black’s Tony Stark-heavy Iron Man 3, the third Captain America movie adopting the much larger Civil War storyline and, hypothetically, Avengers 3 bringing everyone together for Infinity War. 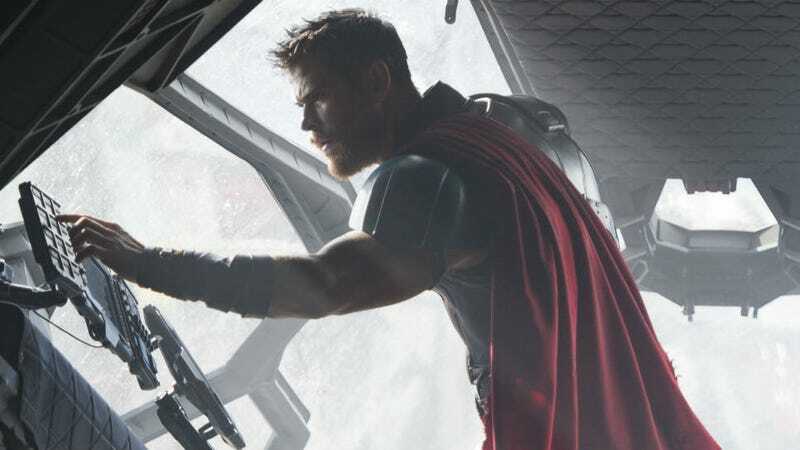 With each movie, it became more and more obvious to Marvel that Hemsworth was more than just a physical presence. He was a comedic one too. And the actor noticed the Marvel Cinematic Universe was beginning to go in that direction as well. And that’s how you end up with a crazy, colorful buddy comedy starring Thor and Hulk. Thor: Ragnarok opens November 3.